DVC269VOORRAAD	| Write the first review! The Orca Core Tri Tank black/blue men 2015 is constructed from three performance fabrics - AquaGlide and Vapour - for speed through the water and performance, comfort and breathability on land. Popular with triathletes of all levels, the Tank has a long body coverage and an elasticated waist hem to keep it in place. Paired with the Core Tri Short the Core Tri Tank can be used in short or longer distance races and for training. Your discount €22,-	(21% VAT included)	New! On stock! The Orca Core Tri Tank is constructed from three performance fabrics - AquaGlide and Vapour - for speed through the water and performance, comfort and breathability on land. Popular with triathletes of all levels, the Tank has a long body coverage and an elasticated waist hem to keep it in place. The 3-coil front control zip provides additional ventilation when required, there are two rear pockets and new safety reflective graphics for visibility in low light conditions. 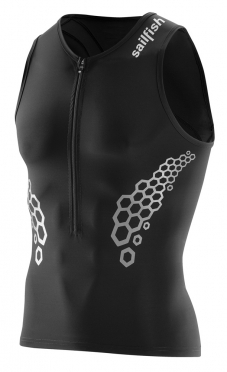 Paired with the Core Tri Short the Core Tri Tank can be used in short or longer distance races and for training. Aquaglide fabric with Orca Enduro water-repellent coating improves glide through the swim. 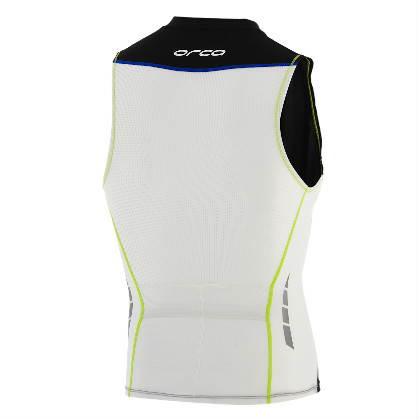 Vapour side panels combined with a Soft Mesh back panel provides breathability where you need it most. Two rear covered pockets centred across the lower back give you plenty of room to store the nutrition you need within easy reach in a place that won’t bounce around. - Orca AquaGlide has been re-engineered as a higher gauge fabric - a tighter knit, for lighter, more breathable comfort and increased durability. Water resistant qualities promote speed through the water, while minimizing water absorption. Featuring spandex inside a polyamide yarn, AquaGlide keeps athletes cool, dry and comfortable. - The new generation Orca Vapour is a light, breathable fabric used in key moisture transfer panels of garment construction. With a high moisture vapour transmission rate-the rate at which moisture passes through the fabric and away from the skin-Vapour is utilized in areas to maximize performance and comfort. 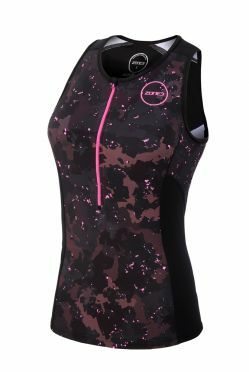 The latest Zone3 Activate plus sleeveless tri top Stealth camo women feature eye catching graphical prints, designed to add some colour to your race day with a matt finish for a modern, stylish look. Made from high quality Italian fabric for breathability, coverage and shape retention. 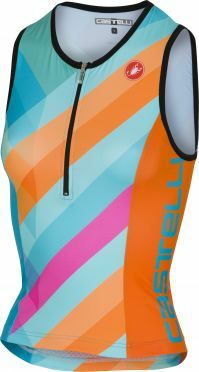 The printed panels are complemented by a high powered Lycra Sport fabric on the front body of the singlet and leg panels on the matching shorts to maintain modesty and coverage rather than a fully printed suit. The back panel is made from an extremely lightweight and high stretch fabric with a waffle structure to give maximum breathability and comfort-fit. 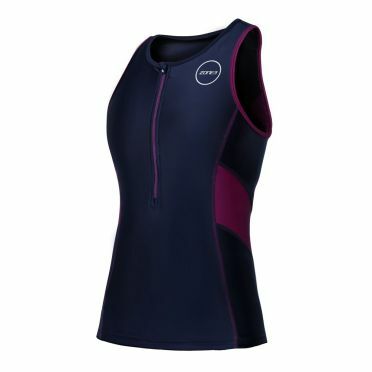 The Zone3 Activate sleeveless tri top blue/purple women is designed for beginner triathletes or for those looking for a great value suit to train with. The latest Activate range is better than ever with new features to improve comfort and a new panel design to ensure an even better fit. 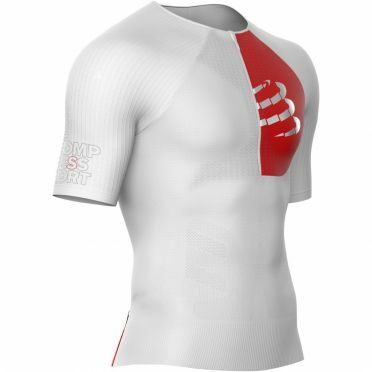 The Tri Top is made from Lycra sport fabric to ensure longevity, breathability, comfort and performance. It is suitable for not only triathlon but also individual running, cycling and gym work. Innovative, tight-fitting Sailfish Competition tritop black men and Carbon-Power-Tapes for best performance. Kinetic design with innovative design lines create a dynamic, technical look. 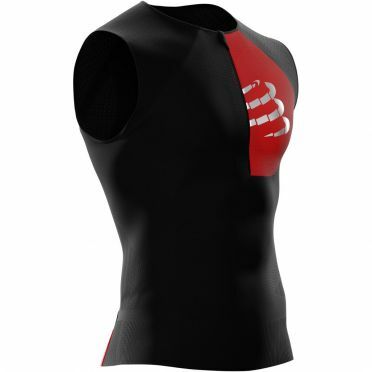 High-quality Powertech Skin Material for extra muscle support and improved blood circulation. Quick-drying polyamide micro for high breathability and sustainable moisture management. 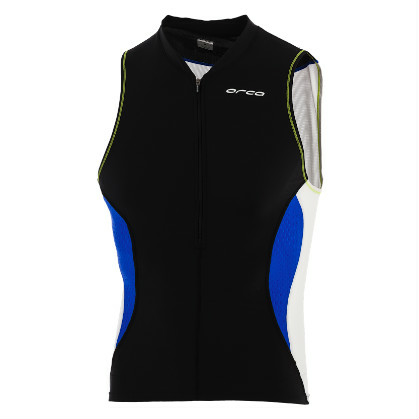 The Castelli Core 2 W singlet multicolor blue women is created with a Tempo3 Light fabric, this tri top has a nice fitting which offers a great comfort. The Core tri top has a durable YKK camlock zipper, so you can take them on an off very quickly. Designed with a high-capacity free pocket construction so you can take some sport nutrition with you. Tip: keep in mind that the Castelli clothing fits smaller than normal.